Carlos Salinas de Gortari was declared the winner, with the Ministry of Interior saying he had received 50.7% of the vote. It was the lowest for a winning candidate since direct elections were introduced for the presidency in 1917. In the Chamber of Deputies election, the Institutional Revolutionary Party won 260 of the 500 seats, as well as winning 60 of the 64 seats in the Senate election. Voter turnout was said to be 51.6% in the presidential election, 49.7% for the Senate elections and 49.4% for the Chamber election. This was the first time that a parallel vote tabulation was implemented in Mexico, the results were informed by telephone from the electoral districts to the secretariat of the Interior. During the parallel vote tabulation, the secretary of the interior said that the telephone network was saturated, characterizing it as "a breakdown of the system." Former president Miguel de la Madrid later admitted that this "breakdown" was a fabrication. One observer said, "For the ordinary citizen, it was not the network but the Mexican political system that had crashed." Although early results of the parallel vote tabulation had indicated Cuauhtemoc Cárdenas was winning, when the official results were announced, Salinas was said to have eked out a narrow victory. Years later, former president Miguel de la Madrid admitted in an autobiography that there was not yet any official vote count when the PRI declared Salinas as the winner. In 1991, the ruling PRI and the opposition PAN approved a motion to burn all the ballots, therefore removing all evidence of the fraud. ¹ Several parties were part of the National Democratic Front alliance, with some candidates running separately under the name "Coalition". ^ quoted in Enrique Krauze, Mexico: Biography of Power. New York: HarperCollins 1997, p. 770. ^ Krauze, Mexico: Biography of Power, p. 770. The National Action Party, founded in 1939, is a conservative political party in Mexico, one of the three main political parties in Mexico. Since the 1980s, it has been an important political party winning local, state, and national elections. In 2000, PAN candidate Vicente Fox was elected president for a six-year term; in 2006, PAN candidate Felipe Calderón succeeded Fox in the presidency. During the period 2000-2012, both houses of the Congress of the Union contained PAN pluralities, but the party had a majority in neither. In the 2006 legislative elections the party won 207 out of 500 seats in the Chamber of Deputies and 52 out of 128 Senators. In the 2012 legislative elections, the PAN won 38 seats in the Senate, and 114 seats in the Chamber of Deputies. The members of this party are colloquially called Panistas. The Party of the Democratic Revolution is a social democratic political party that had been one of the three major political parties in Mexico over the last several decades, the others being the Institutional Revolutionary Party and the National Action Party. Miguel Alemán Valdés was a Mexican politician who served a full term as the President of Mexico from 1946 to 1952, the first civilian president after a string of revolutionary generals. 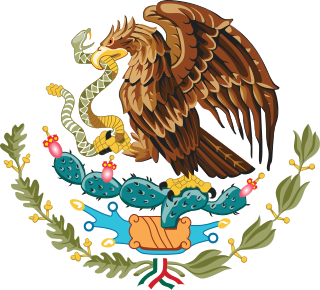 His administration was characterized by Mexico's rapid industrialization, often called the Mexican Miracle, but also for a high level of personal enrichment for himself and his associates. His presidency was the first of a new generation of Mexican leaders, who had not directly participated in the Mexican Revolution, and many in his cabinet were also young, university-educated civilians, close friends from his days at university. General elections were held in Mexico on Sunday, July 2, 2000. The National Democratic Front was a coalition of left-wing Mexican political parties created in 1988 presidential elections, and that is the immediate antecedent of the Party of the Democratic Revolution. It was result of an agglutination of small political left and center-left forces with dissident members of Institutional Revolutionary Party (PRI). Their candidate for the presidential election was Cuauhtémoc Cárdenas. General elections were held in Mexico on 7 July 1952. The presidential elections were won by Adolfo Ruiz Cortines, who received 74.3% of the vote. In the Chamber of Deputies election, the Institutional Revolutionary Party won 151 of the 161 seats. These were the last presidential elections in Mexico in which women were not allowed to vote. 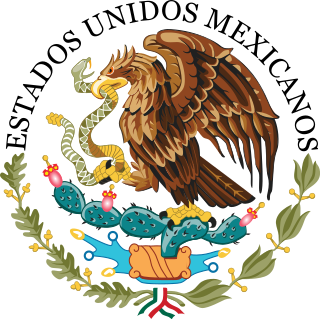 General elections were held in Mexico on 5 July 1970. The presidential elections were won by Luis Echeverría Álvarez, who received 86.0% of the vote. In the Chamber of Deputies election, the Institutional Revolutionary Party won 178 of the 213 seats, as well as winning all 64 seats in the Senate election. Voter turnout in the legislative elections was 64.4%. General elections were held in Mexico on 4 July 1982. The presidential elections were won by Miguel de la Madrid, who received 74.3% of the vote. In the Chamber of Deputies election, the Institutional Revolutionary Party won 299 of the 372 seats, as well as winning 63 of the 64 seats in the Senate election. Voter turnout was 74.8% in the presidential election and 72.6% and 66.4% for the two parts of the Chamber elections. General elections were held in Mexico on 4 July 1976. José López Portillo was the only candidate in the presidential election, and was elected unopposed. In the Chamber of Deputies election, the Institutional Revolutionary Party won 195 of the 237 seats, as well as winning all 64 seats in the Senate election. Voter turnout was 64.6% in the Senate election and 62.0% in the Chamber election.